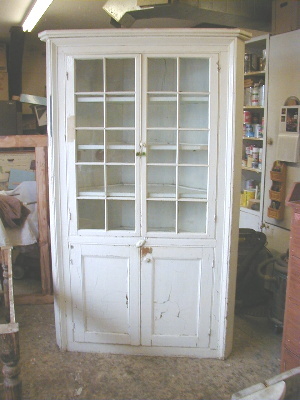 This fine one piece pine corner cupboard is from Eganville in the Ottawa Valley. It dates in the 2nd quarter of the 19th century. 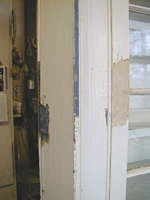 It was dry scraped to the original blue and white with no paint restoration. It fits into an 8 foot ceiling and a 32 inch corner. It has classic 1/3 to 2/3rds proportions with delicate returns and picture frame beaded moulding. 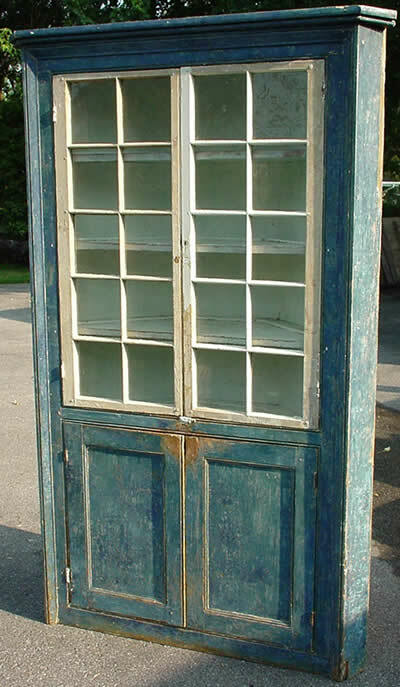 It is constructed with pit sawn boards, cut nails and is 1 1/4 inch gauge.